Tom has been the VP for Enrollment since July 2014. He is responsible for enrollment management and retention issues, marketing and communications, as well as career services and academic counseling. He was the Director of Admissions since May 2004, and before that, he served the College as its Director of Public Relations since 2000. 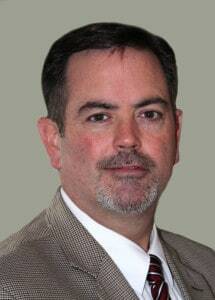 He holds a BA and MA in Theology from Christendom College and an MBA Essentials Certificate from Shenandoah University. He and his wife, Amanda, are the parents of eleven children (8 girls, 3 boys), three of whom have graduated from Christendom, with one more currently enrolled. Contact Tom McFadden by email at tmcfadden@christendom.edu or by phone by calling 540-551-9220. Sam has been the Director of Admissions since July 2014. Prior to that, he served as Director of Admissions at The Avalon School in MD, as well as a teacher, baseball coach, and extra-curricular event organizer. 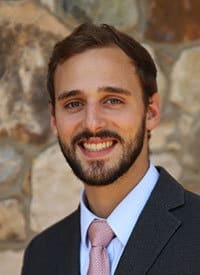 He is a 2008 history major graduate of Christendom College, and while a student, was active in the drama club, the baseball team, and was a counselor for the Experience Christendom Summer Program. He and his wife, Katie, are the parents to five children: 3 boys, 2 girls. Contact Sam Phillips by email at sam.phillips@christendom.edu or by phone by calling 540-551-9185. 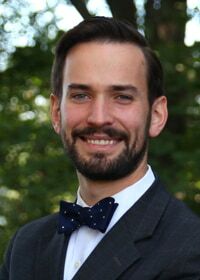 Michael, who graduated in May 2018 with a BA in history, became the Associate Director of Admissions in July 2018. While a student at Christendom, he served the campus in a number of leadership roles including as Chairman of the Chester-Belloc Debate Society, and also as the founder and former coach of the college’s boxing club. As the Associate Director of Admissions, Michael is responsible for attending conferences, visiting schools and homeschool groups, and arranging “Christendom 101” events around the country. Michael is originally from State College, Pennsylvania, and is the second of his family to attend Christendom. Contact Michael by email at michael.mazzara@christendom.edu or by phone by calling 540-551-9232. Clare started her position in the Admissions Office in June 2018. Before graduating with a B.A. 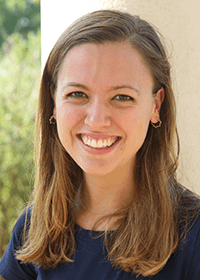 in Philosophy from Christendom College, Clare invested her time working in the Registrar’s office, as a Resident Assistant, as a member of the Student Activities Council, and playing on Christendom’s varsity soccer team. In Admissions, Clare is here to organize the Experience Christendom Summer Program, plan Open House events, and schedule visits. She looks forward to answering your questions by either phone or email. Contact Clare McDermott via email at clare.mcdermott@christendom.edu or by phone by calling 540-551-9187. 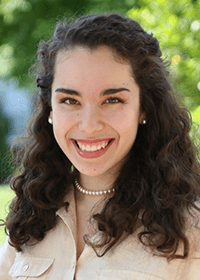 Sydney, a 2018 math major graduate of Christendom College, became an Admissions Counselor in July 2018. As a student, she served as an officer in Christendom’s Political Action League (CPALs) and as Editor-in-Chief of Christendom’s student magazine, The Rambler. A military brat and a 2014 Seton Home Study graduate, Sydney was born in Chicago and grew up in Front Royal. Outside of work, she enjoys archery, fashion design and studying Russian. As an Admissions Counselor, Sydney is the first-responder for prospective students and families, ensuring everyone receives personalized attention. Contact Sydney Dominguez via email at sydney.dominguez@christendom.edu or by phone by calling 540-551-9161.